Highly rated Nigerian wonderkid Kelechi Nwakali is currently leading the rest of Arsenal teenagers out on loan to various teams across Europe. Nwakali joined Arsenal in the summer, and the captain of the Nigeria U-20 team was immediately farmed out on loan by the Gunners to aid his career progression. So far the MVP of the last U-17 World Cup has made 10 appearances for his loan side MVV Maastricht who are gunning for promotion to the top league in Holland. 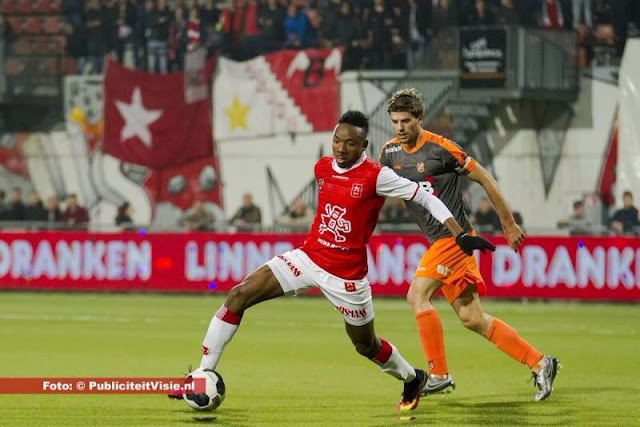 He has progressed as expected in Holland unlike his fellow Arsenal loanee Tafari Moore who is in same team with him and Stefan O’Connor who is also in Holland but at Utrecht. Dan Crowley is the other Arsenal teen out on loan but he has not fared better than Nwakali, as his loan spell was ended six months early at League One side Oxford, on the insistence of the team despite making 11 appearances and scoring three goals.